Live in Northern Illinois? Have a cluttered medicine cabinet? 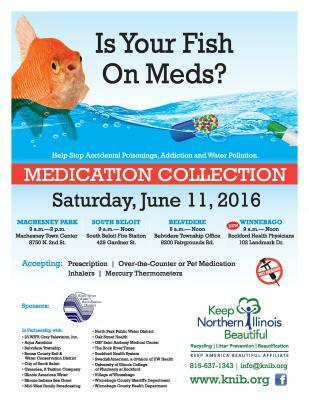 Here is your opportunity to properly dispose of any old or unused medicines! 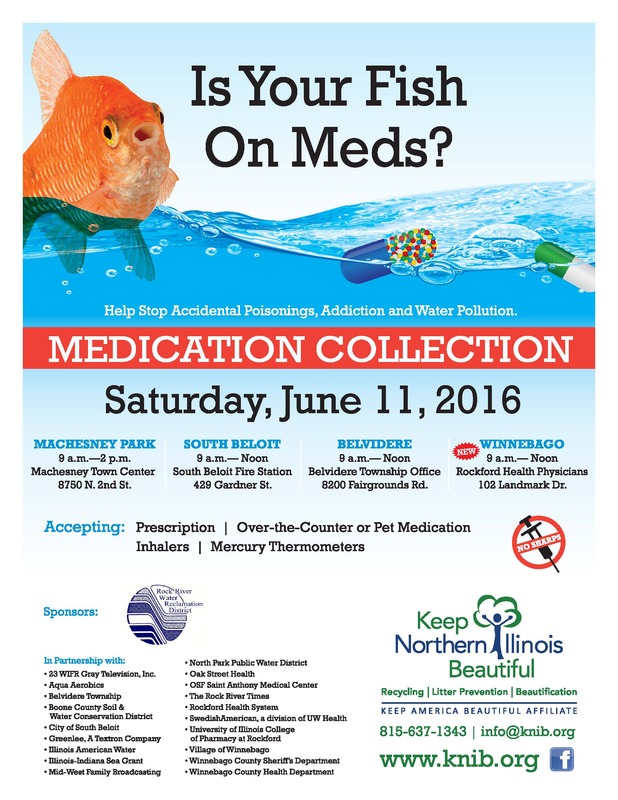 Keep Northern Illinois Beautiful (KNIB) will be hosting a medication collection this Saturday, June 11th. KNIB will be accepting unused or expired prescription, over-the-counter, and pet medications (including creams, liquids, and inhalers) and mercury thermometers at this free, drive-up collection event. Sharps, needles, and illegal drugs will not be accepted.